Dallas-based Southwest Airlines plans to end the common industry practice of overbooking flights - an industry practice implicated in an ugly incident on a United Airlines flight that has damaged United's reputation with the flying public. Last year Southwest bumped 15,000 passengers off flights, more than any other U.S. airline. Carriers said they sometimes sell more tickets than there are seats because often a few passengers don't show up. Beth Harbin, a Southwest spokeswoman, added Thursday that with better forecasting tools and a new reservations system coming online next month the airline will no longer have a need to overbook flights. In a CNBC interview Thursday, Southwest CEO Gary Kelly said "I’ve made the decision and the company’s made the decision that we’ll cease to overbook going forward." NBC reports on the steps that flyers and travelers can take to protect themselves, and their vacation, from an overbooked flight. Kelly said the last thing that the company want to do is "deny a customer their flight. We’re going to work very hard to eliminate as many pain points for travel ... as possible." 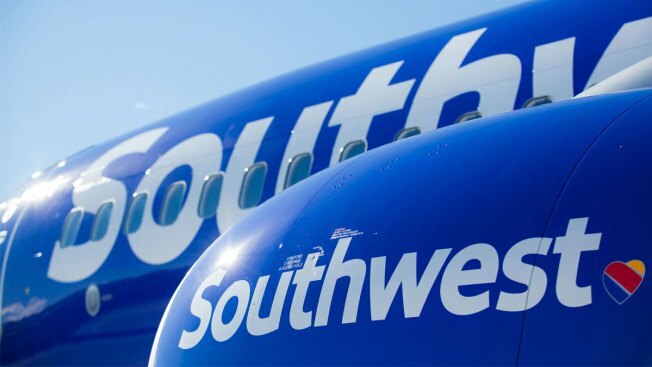 Kelly was asked on an earnings conference call if the move could impact Southwest's results. He said ending overbooking would have a minor impact on revenue but gave no figures. Chief Financial Officer Tammy Romo said doing away with overbooking would reduce costs -- airlines compensate passengers for giving up their seats -- which would offset some of the revenue hit. Overbooking flights then rebooking passengers to free up space is legal—the Department of Transportation has general guidelines about overbooked flights and how to compensate barred passengers. Europe has a different set of rules. U.S. airlines bumped 40,000 passengers last year, not counting those who volunteered to give up their seats. United booted 3,765. On Thursday, United announced 10 policy changes stemming from the incident, including an increase in the incentives offered to overbooked passengers up to $10,000.